I decided to test out a few different brands as well as different types of filament. I didn’t want to test brands VS brands because it’s been done again and again. Instead I decided to take a few different types of filament from several companies and print out objects much as, “You” the user would. Also I will share my experiences with each company. 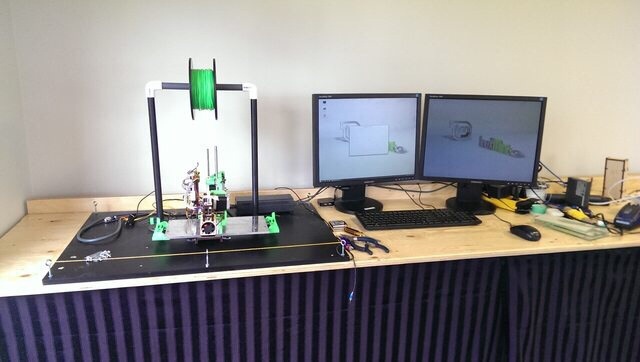 At our Prototyping lab we have been adding new equipment which will delay some of the filament tests. I will update the last few filaments that are not yet explored ASAP. So far I will be doing a few different sample prints from: PushPlastic, Extrudables, MakerGeeks and Printrbot. 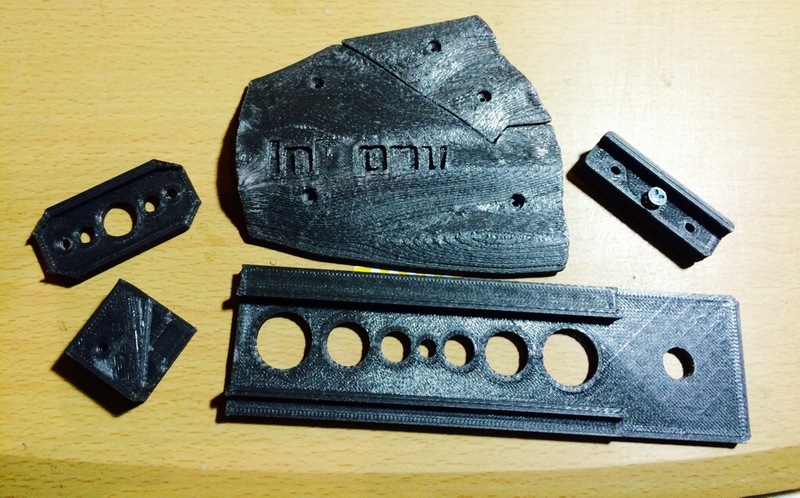 Printrbot may be removed from the tests as I’ve heard that they recently changed suppliers. If I can get a recent sample, I will include them. I will soon add the (Coming soon) filament tests to this post. 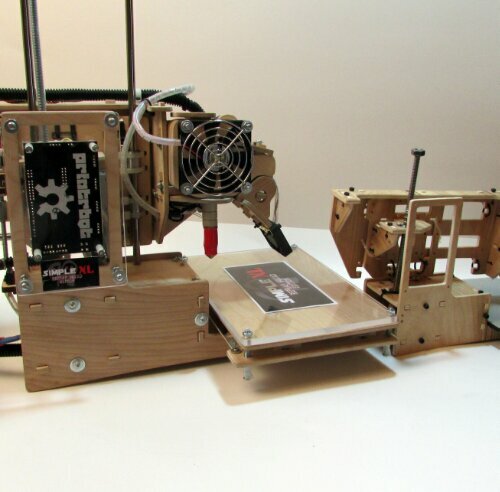 I will also be getting some of Printrbot’s filament from their new source. 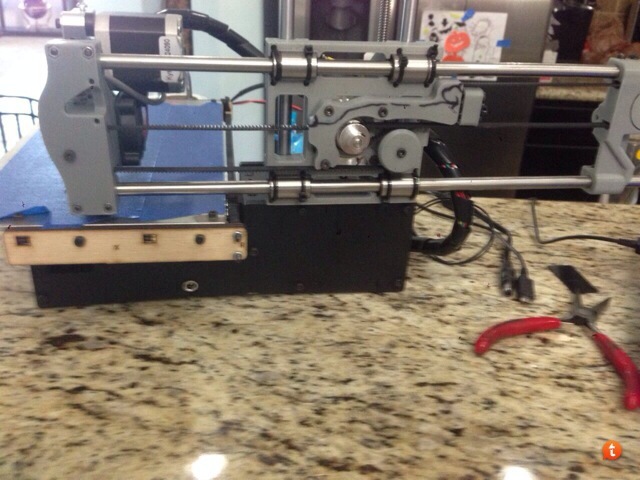 I will start testing as soon as the filament arrives from Printrbot. I chose to test filaments from these few suppliers because RepRap Squad has had positive experiences with them as a company. They have all proven to be reliable companies that always try to keep quality up while offering affordable prices. I will be testing out about 4+ different colors of PLA from PushPlastics. Extrudables has some HIPS that will be tested. We will be testing a large variety of exotics from MakerGeeks. We will test the updated filaments as soon as they arrive and add them to the lists. Push Plastic offers up a good selection of filaments. Shipping is quick and packaging is above average. They take the time to properly pack items for a worry free shipping experience. They are very quick to respond to any questions I had which made for a pleasurable experience. I started the tests with PushPlastic’s cobalt blue 1.75mm PLA. It looks better in person than on the site. Usually it’s the other way around. I’ve noticed that the diameter is very consistent. After a bit of printing, I can say that the colors are very vivid and that they come out the same color as it looks when it’s on the reel. I’ve ran into a lot of filament that looks nothing like it did before printing but, this is defiantly not one of them. I printed out several different pieces in the blue. 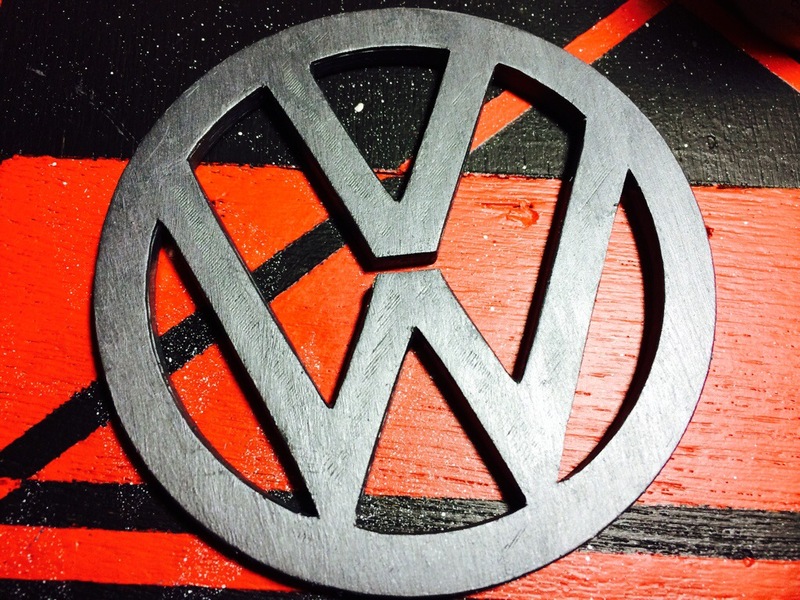 One of my favorite being the 100mm Volkswagen logo. I plan on doing some finish work on the emblem so that it can be mounted on my car. A few pictures of this process will be taken to show how well this filament looks when finishing touches are done. So far I am very impressed with the quality of their filaments. 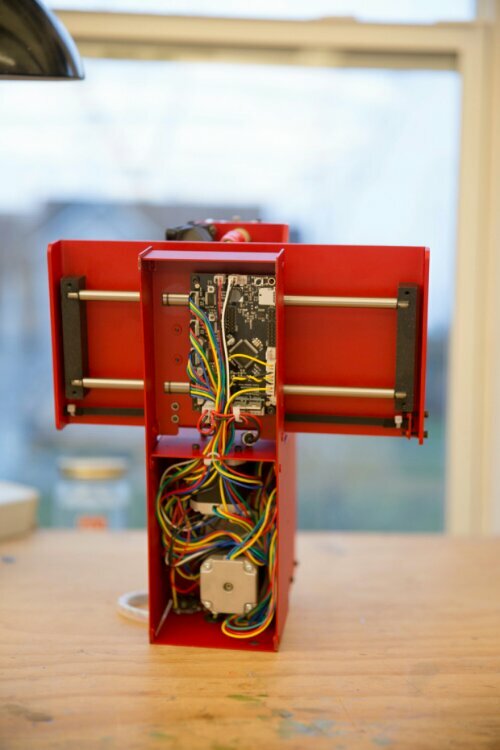 This test was done at a high speed, 195 degrees Celsius – hotend, 60 degrees Celsius – bed at .3 layer height with a .4 tip. I am running the yellow PLA at the same settings as the rest which is stated above. For a few tests I may slow down the overall speeds to help eliminate overshoot. I have seen great results with the yellow filament. It is very consistent and I haven’t seen any signs of the filament delaminating. I will be testing a few more colors from PushPlastic soon. 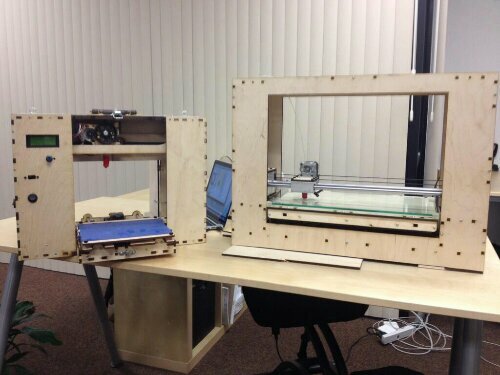 The guys at MakerGeeks are always a pleasure to work with and they are very quick to answer any questions. 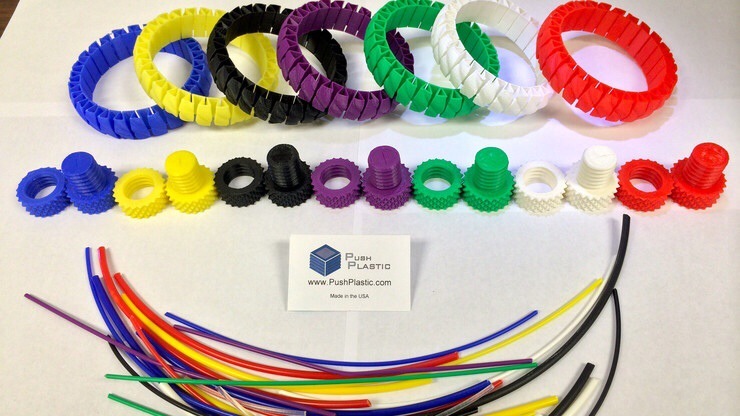 They also have a wide variety of filaments including: Laywood, Laybrick, PLA, ABS, Conductive, Carbon Fibre, Nylon and Color Changing – Just to name a few. 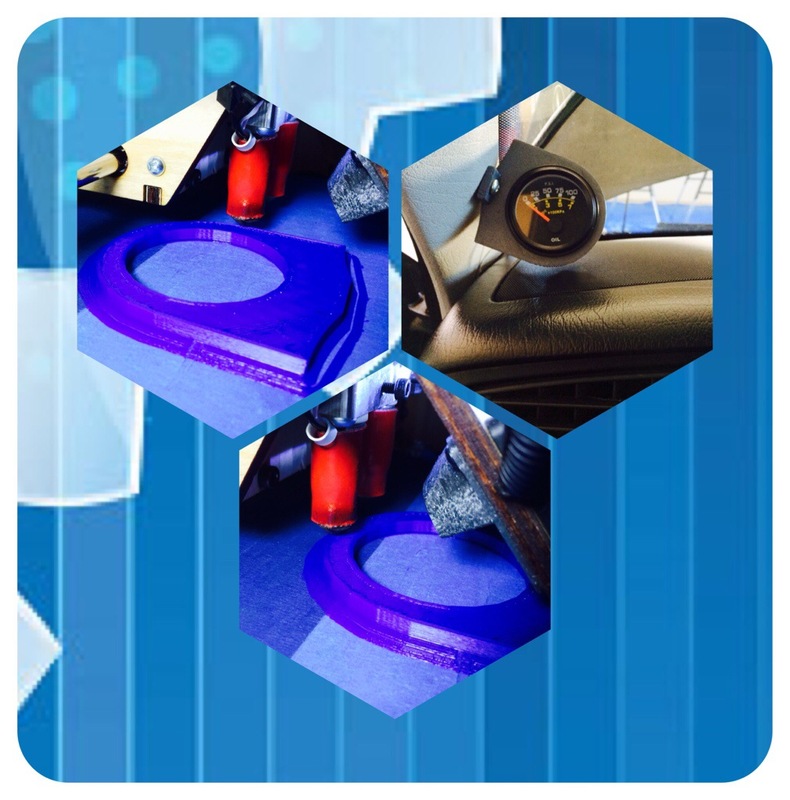 They are based within the U.S. and have just about any 3D printer related items you would ever need or want. Shipping is always quick and free within the United States. They often run 10% off deals so check their site often. 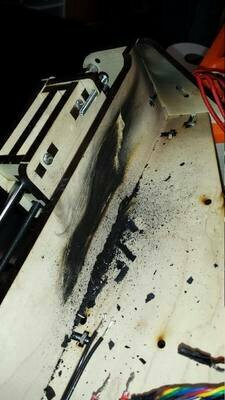 MakerGeeks black ABS was printed at 240 degrees Celsius and the heated bed was ran at 105 degrees Celsius. I’ve noticed that there are less oozing issues with this filament. It lays down the first layer very clean and consistent. I’ve had no issues with it delaminating. Overall I am very happy with this filament. above a specific temperature it will change colors. They make several different colors. The one I tested was a purplish black at room temp and changed to an eggshell white when brought up in temperature. The uses for this kind of filament are endless. 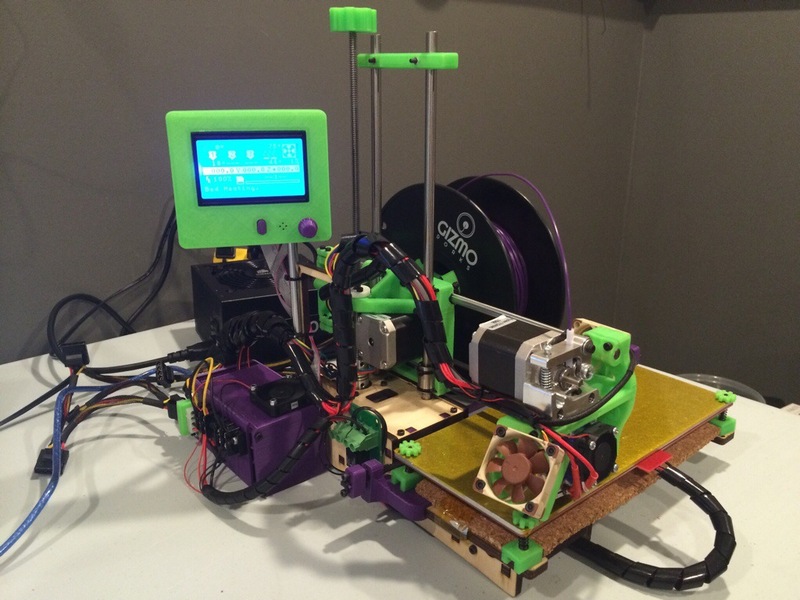 The color changing filament is a PLA derivative, which makes for easy printing. 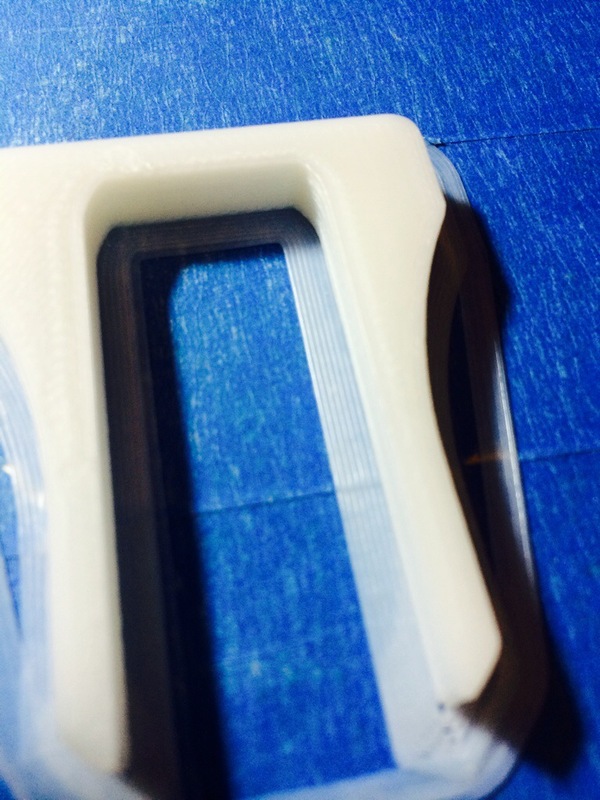 It prints under the same settings as PLA and retains similar properties. 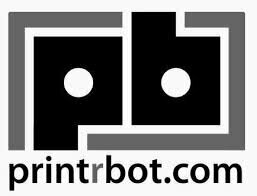 Printrbot is a company that has steadily expanded over the last couple of years. I have had great experiences with all of the products I have purchased from them, including filament. I’ve had a couple shipping mistakes that were quickly fixed once they were aware of the problem. Their online store has expanded to carry a wide selection of printers and printer parts. Recently I have been able to get my hands on Printrbot’s new filament. I will be doing some test prints in a few different colors of PLA. So far I plan to test white, green, black and blue. I am instantly impressed from the first test print I did. The filament feels smooth and soft out of the package. It also arrived well packed with gel packs to keep moisture away from the filament. I guessed at a starting temperature of 198 degrees Celsius. I kicked the bed temp a little bit high at 70 degrees Celsius. 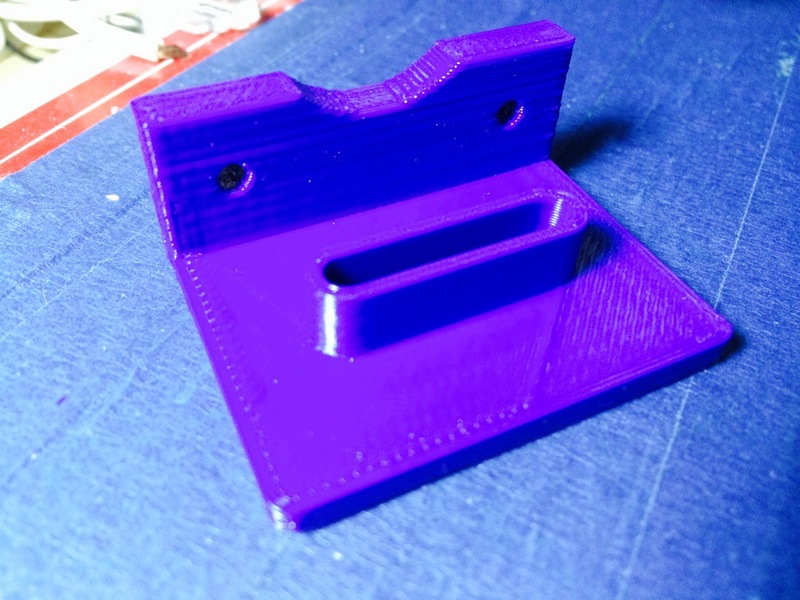 I was amazed how well the first print of a custom designed dual fan mount came out. So far this filament has been easy to work with. I can see why Printrbot changed suppliers as it is a definite improvement. More test are coming soon as I push the limits of this filament. 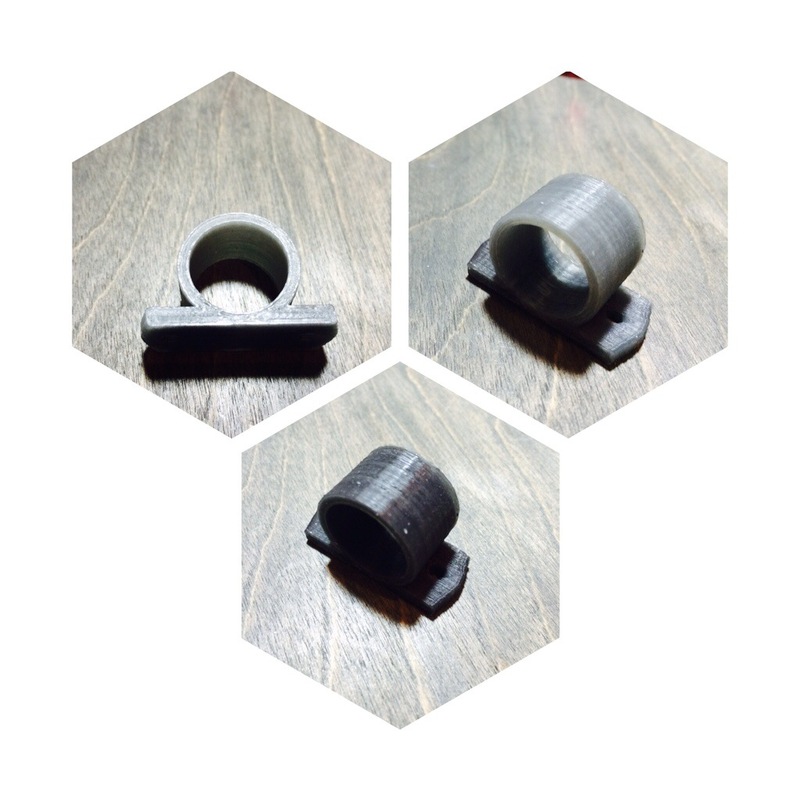 Below are the very first items I printed with Printrbot’s new filament. 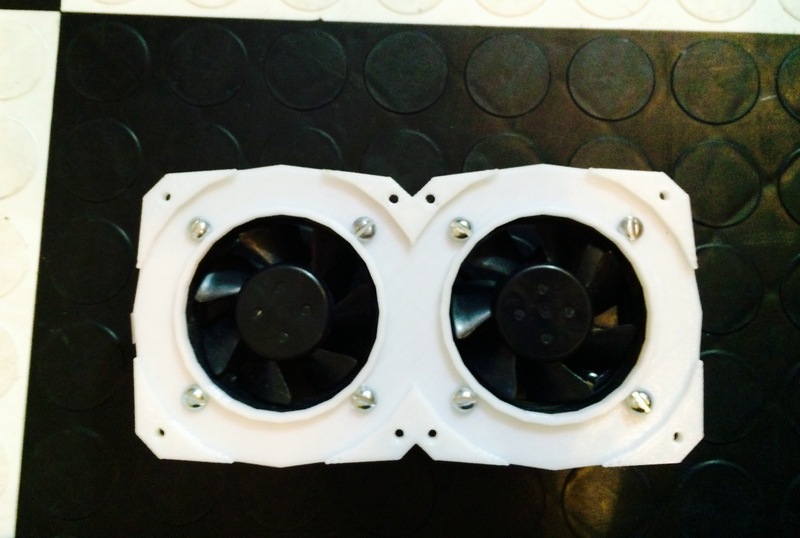 I designed these custom dual fan mounts for a custom computer case I am building. 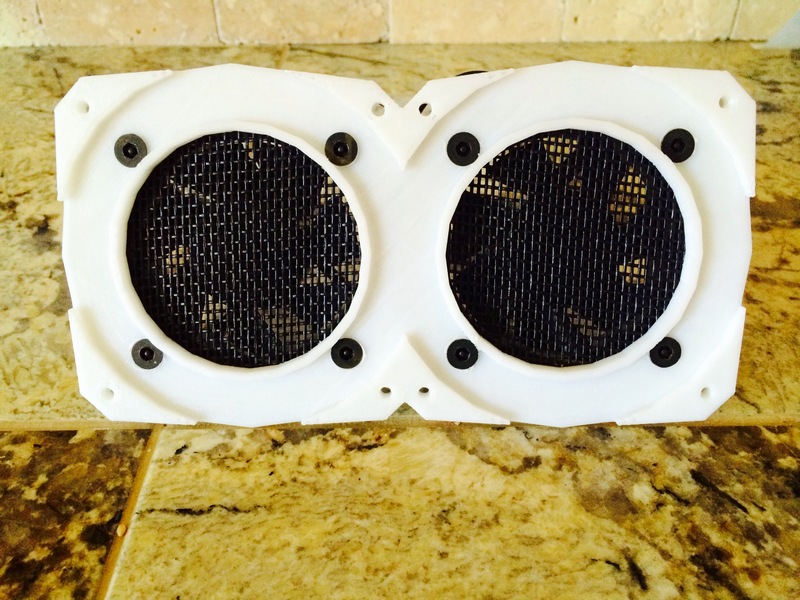 They are case or rad mountable and they came out great in this white filament. The white is bright and vibrant. I have to say that I am very impressed with Printrbots new filament. It works great one thing I noticed that it is very temperature sensitive. If you have your heat up to high even by a few degrees it starts to get gooey. This problem is easily remedied by lowering the temperature a few degrees. It stuck to the bed well but not too well. I saw absolutely no delamination at all with any of the prints I’ve done so far. I definitely recommend this film it to any other users. It arrived vacuum packed with the dicassant in the package which helps to eliminate moisture during shipping or storage. The Printrbot filament that I have been testing is from a while back. 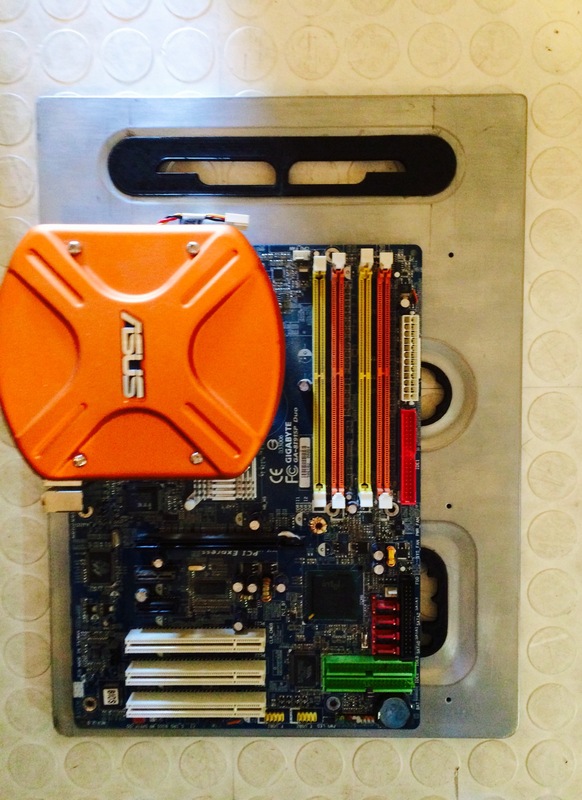 It has been properly stored in a dark container to keep dust and any moisture away. 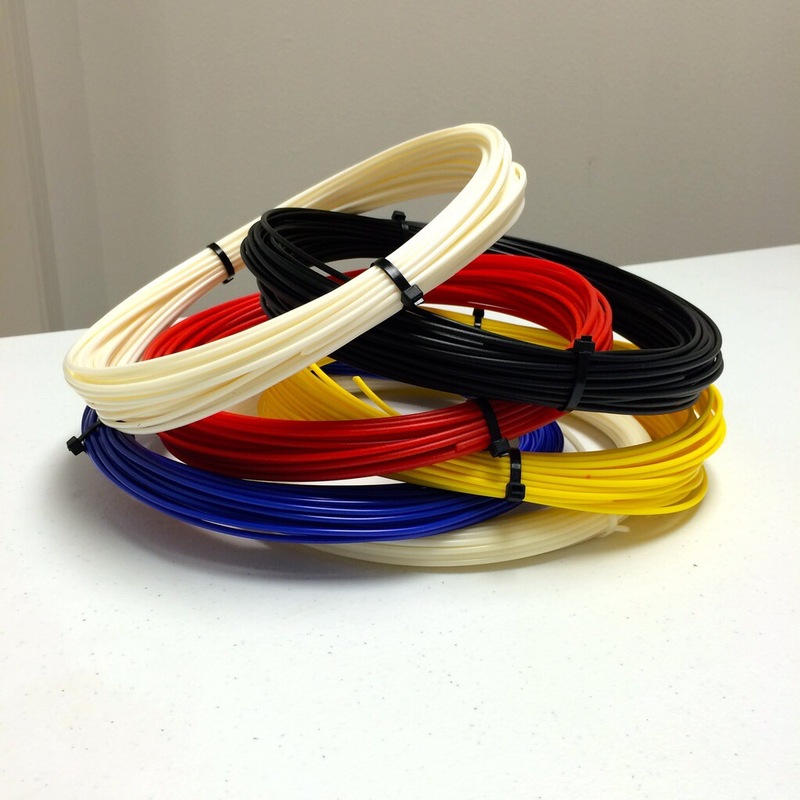 I have heard that Printrbot has changed filament suppliers not too long ago. Overall I am happy with this ABS. I have noticed that it doesn’t strip on the extruder gear as easy as some of the PLA I first received from Printrbot almost a year ago. I also haven’t had any jams using this filament with my wood direct drive extruders. I have used a lot if this specific PLA and I absolutely love it. I have printed everything from drag cables to parts for the InMoov hand and arm assembly. 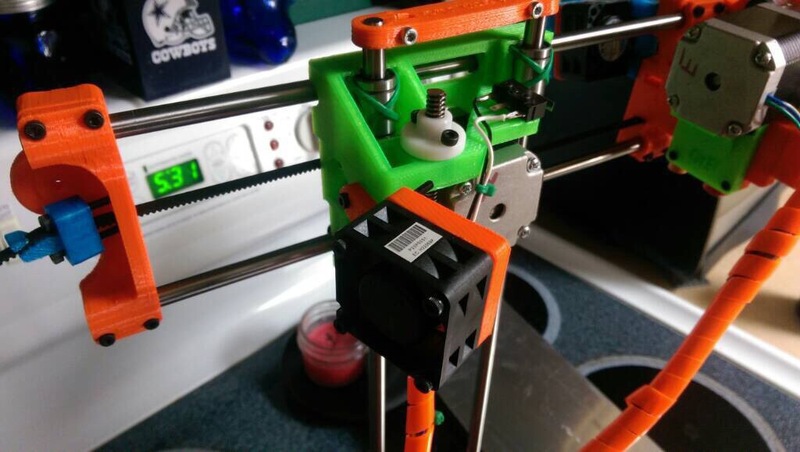 It prints consistently and the first layer goes down effortlessly. If you add a heated bed to the equation, it won’t ever get any easier. I’ve pushed the speed well over 170mm s with no issues. 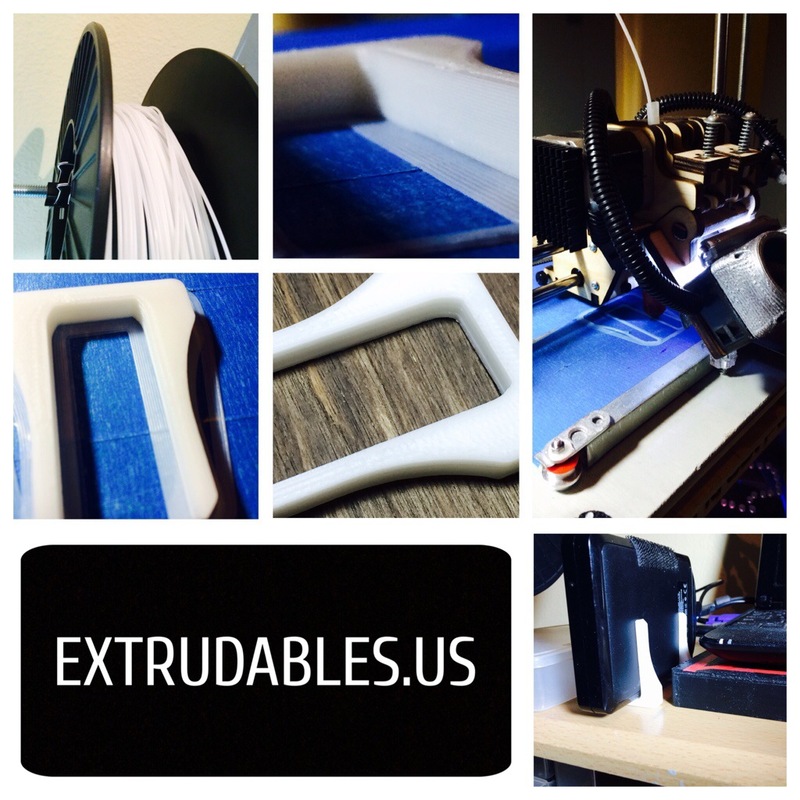 I haven’t had much experience with Extrudables as a company because they are fresh onto the marketplace. 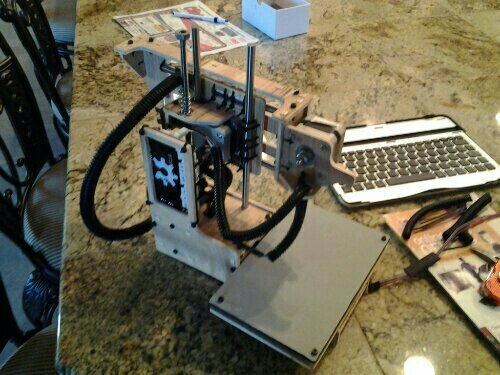 However I have known the owner through the Printrbot forums for quite sometime now. They are very helpful and stock a selection ranging from FilaFlex to color changing filaments. He has spent a lot of time helping out others throughout the forums which easily translates into a great customer service experience. The product was shipped quickly and they are based within the U.S.
HIPS stands for High Impact Polystyrene and is one of the most produced polymers worldwide. It is a flexible product widely used in the food packaging industry because of its strength, hygiene, and ability to retain heat. 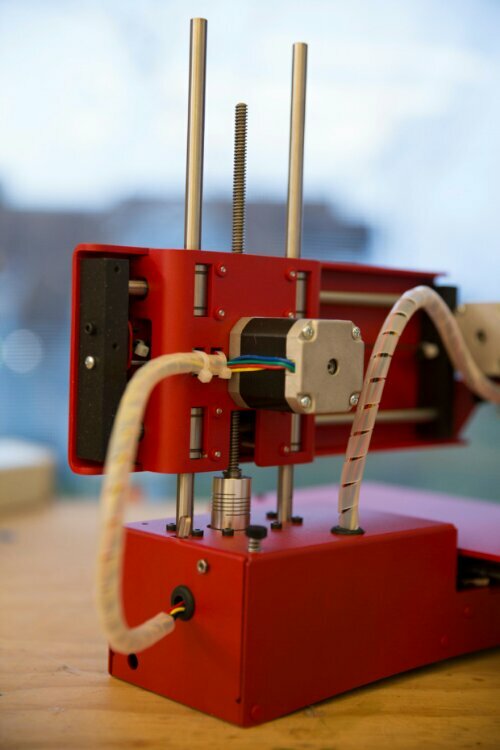 In the 3D Printing industry it is typically used in combination with a dual extruder setup. HIPS serves as a dissolvable support structure. This is very useful when printing ABS objects with floating sections, long bridged gaps or huge overhangs. It can be dissolved using Limonene after your print is finished. 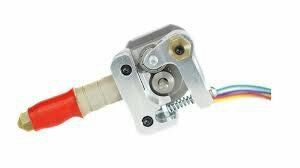 However HIPS can also be used in a single extruder setting to make all kinds of useful parts that take advantage of its hygienic properties and it’s ability to retain heat. HIPS is soluble in Limonene, a colourless liquid hydrocarbon that has a strong smell of oranges. I print most of these tests for HIPS at 235 degrees Celsius and the bed between 110-115 degrees Celsius. I printed them on blue painters tape that had been wiped down with alcohol prior to starting the prints. After the print is finished, it is recommended to let the bed completely cool down before removing it. HIPS is very pliable when heated. I started by printing a set of stands for my portable hard drive. I needed something durable as well as something that would help radiate the heat outward. These pieces work great! 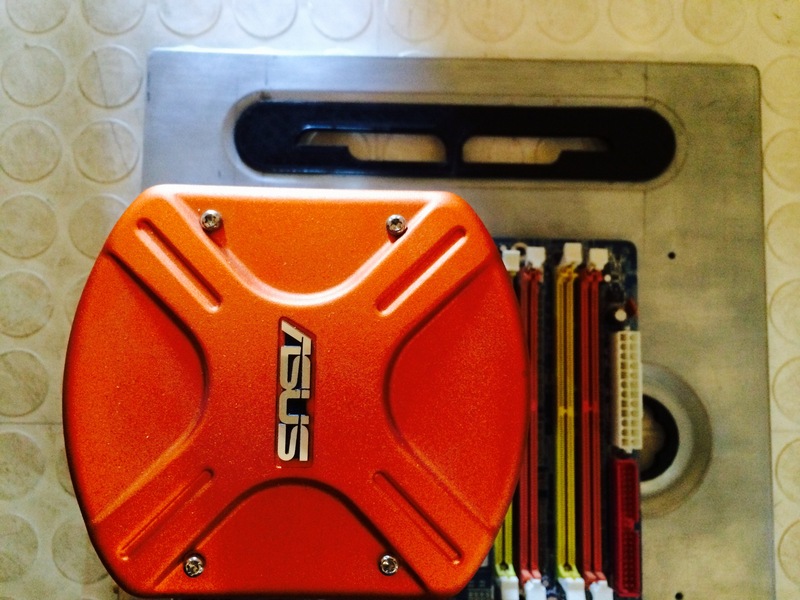 I designed them to be a little small so that the part would flex and hold onto the hard drive tightly. Flexibility is a great property of this filament. Extrudables HIPS is top notch and a breeze to print with. I haven’t used HIPS much before testing this filament and I’m so impressed with how easy this filament is to use. The filament was consistent at a range of 1.73 – 1.75 in diameter. 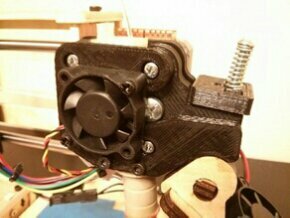 It feed well through my Printrbot wood direct drive extruder. I didn’t have a single jam or misdeed. We are going to dive deep into the wonderful world of possibilities with HIPS. After having this great experience with Extrudables HIPS. I decided to give it a full on dual extruder range of testing. This HIPS is great to work with and has my mind reeling with new possibilities. I decided to do an entire article on the HIPS we received from Extrudables. Soon I will order some Limonene, so I can dissolve away the support structures. Check back soon for the Dual Extruder tests. I have to say that I’m quite impressed by all of the filaments I tested. Each company seems to have its specialty. Wether it’s the large selection you will find with MakerGeeks or the straight forward customer service with Extrudables, you really can’t go wrong. 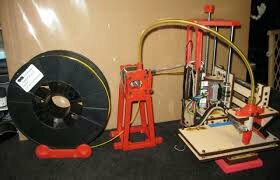 Filament choices are very personal, to the printer being used, as well as the owner. 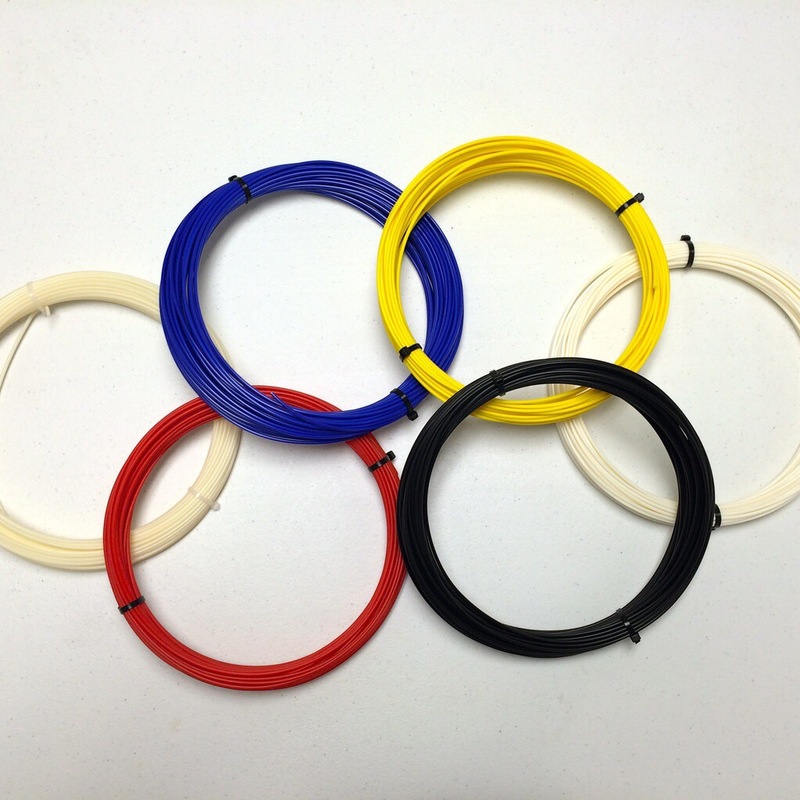 I’ve found that different people, like different qualities in their filament. I tested these 4 companies filament’s because of the great experiences I’ve had with each of them. No matter if I bought a little or a lot, each of them gave me: Great customer service, quick responses to questions, quality products, outstanding shipping and an overall great customer experience. If your in the market for filament defiantly check out: Extrudables, PushPlastic, MakerGeeks and Printrbot. 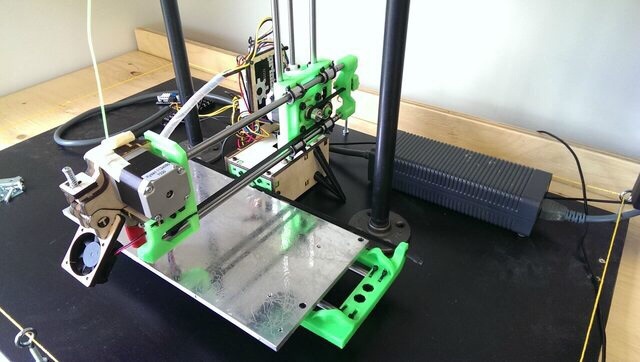 What’s Your 3D Printer Doing When Your Away? 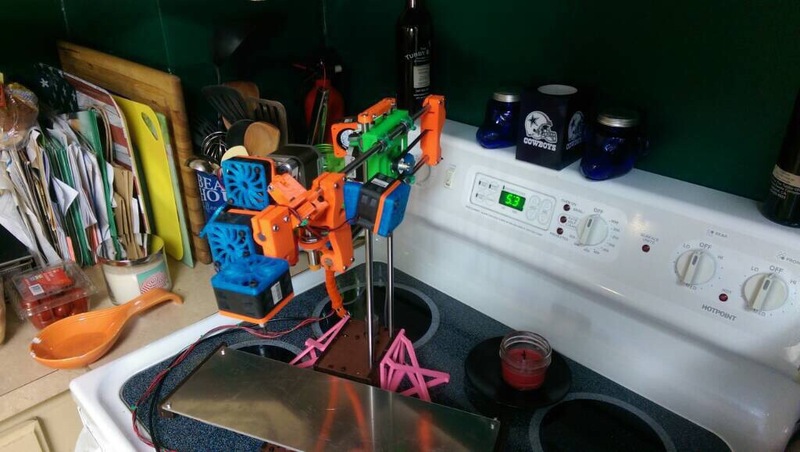 3D printers can be dangerous like any other appliance or piece of machinery. If you don’t know what your doing, ask someone that does. If operated properly they are perfectly safe machines. 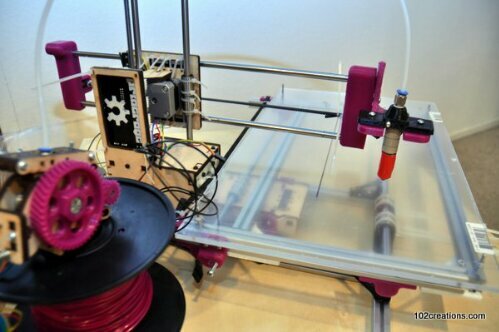 This is an important topic that is rarely discussed but, it’s definitely one of the most important things to know if you own any kind of 3D printer. Most users and not just new owners, have a misconception that it is okay to leave their printer unattended while printing. We are all guilty of stepping out of the room for a few minutes when its running. The main issue is the long prints. How do you do a 12 hr or longer print without leaving it running alone? There are many different ways to limit the potential hazard of it catching fire or something else that could lead to a catastrophic failure. It’s not to hard to cut up a larger print into smaller prints that can later be bolted or fused together. This is a common practice done by many advanced users. A lot of prints that I model are designed to be printed separately and later assembled into one larger piece. Doing this has another advantage as there’s nothing more frustrating than getting 11 hrs into a print to have it fail. I also take other precautions like keeping a fire extinguisher within a few feet of my printers. Another neat mod is adding an ip camera or a setup with raspberry pi so that prints can be easily monitored via cell phone, computer or tablet. 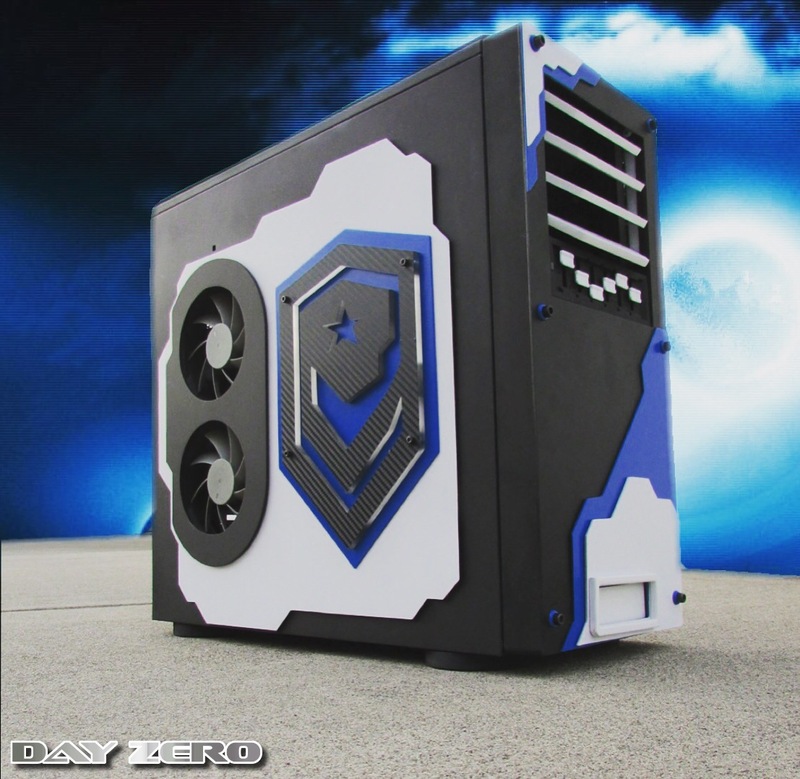 You can buy cheap portable setups or make one yourself for a reasonable amount of money. 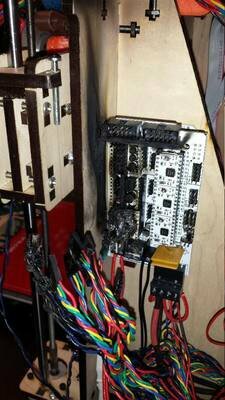 At RepRap Squad we have several different temp sensors tied into an alarm system. Once two or more of those sensors reach a pre set temp it sounds an alarm. We are currently in the midst of adding text messaging into the alarm system for added protection. Even with all the safety measures that we have taken at the shop, we still rarely leave the printer running by itself. Another important part of owning a 3D printer is being safe when making modifications to your printer. If you don’t know what you’re doing it is important to ask someone that does or do the research to find out how to do it. I have heard as well as experienced plenty of people that just went ahead with the modification and didn’t know what they were doing. Typically it ended up in an almost catastrophic failure. Power supplies melting or catching on fire as well as wiring hazards, all because the owner didn’t have a full understanding of what they were doing. 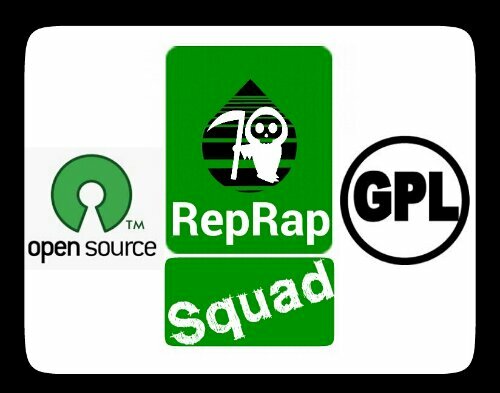 If anybody ever has any questions or needs any help we are at RepRap Squad are always available. Here’s one of many stories I found about people being careless and catching their printer on fire. Hint to the wise, do not be printing on one, printer, forget the power switch is live on the Mendelmax… cut wires to fan so you can add two more to keep your POS Printroboard from overheating and immediately have the wire you cut erupt in flames. Next step is to not run out of the room looking for a fire extinguisher that you wife moved while cleaning the kitchen… that would be the time you would want to … I don’t know turn the power off to the PS? So while Mendelmax is on fire, I am in the other room looking for a fire extinguisher (power supply still on), the fire alarm goes off. Wife sticks head out of door asking what the hell is going on (Third Shifter).. I say popcorn again.. she goes back to bed. 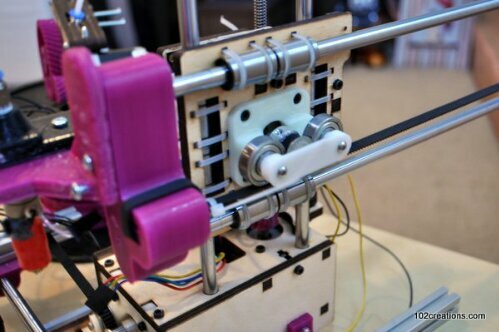 We had heard that some changes in the way of dual extruder setups would happen on the Plus but, we awoke to see that the platform had completely changed. 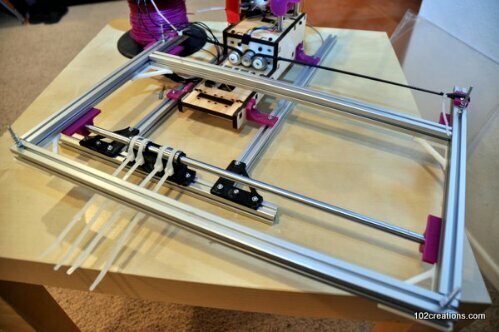 The x axis rod layout changed from one above the other to side by side. This change is using what looks to be the same aluminum blocks used on the new Go V2. We also couldn’t help to notice that the bed rods or Y axis rods were moved back to above the base much as they used to be back with the old Plus V1. Its hard to tell in the pictures but, it looks as if the feet have been removed. Its also noted that the final version may be different. This was the case with the recent release of the all metal simple. The first few set of pictures were of the prototype. In the final version of the all metal simple, part of the z axis was changed up a bit and looks much better in my opinion. Back to the new Plus’s platform. 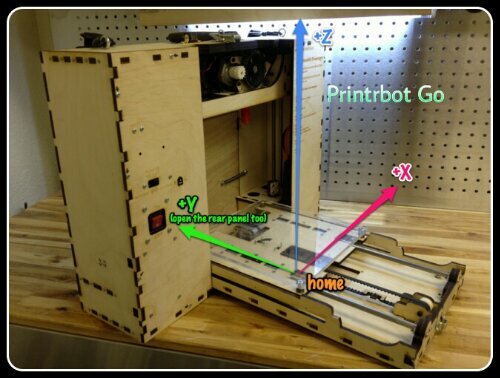 No word on what this version will be called as on their page it just says Printrbot Plus. Going along with the naming of their bots, I would assume that this new version would be called the Plus V3. This new version boasts a 10×10 inch print surface with 8×8 of that being heated. 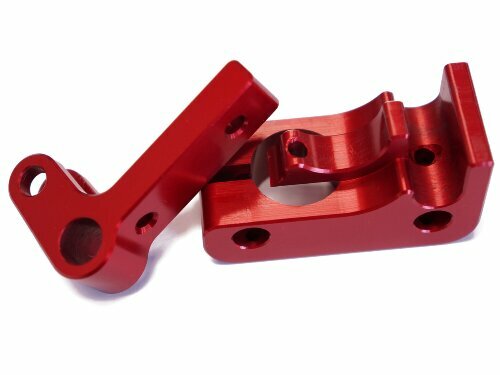 All aluminum bearing blocks assure stability within the platform. This new version also comes with Raspberry Pi loaded with octoprint allowing users to remotely control as well as monitor their printer via video relaying. 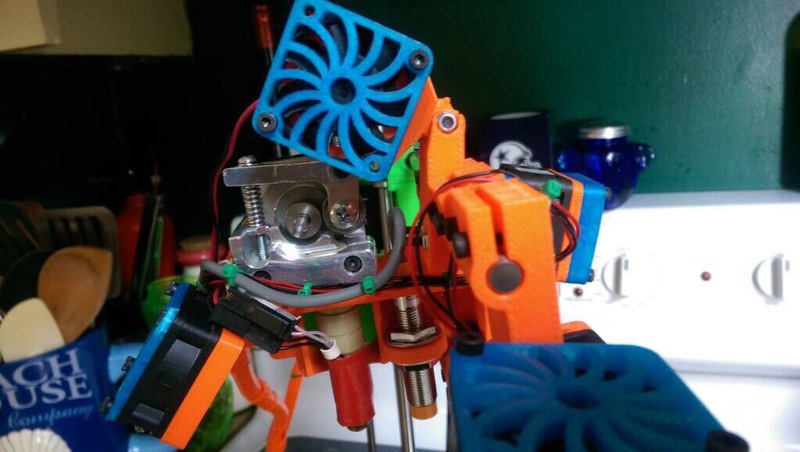 As with the other bots available, it now has the new aluminum extruder. 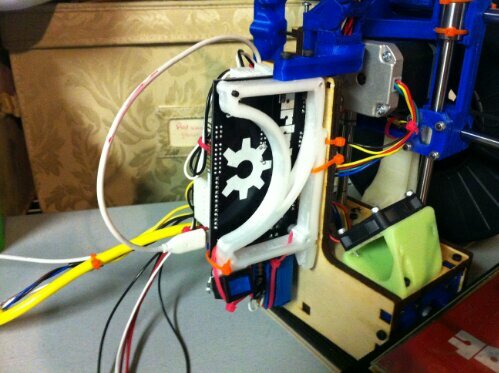 We expect to see a release of a version with dual extruders soon. The assembled version of the new Plus will cost you $1,299.00. The new all metal Simple will come in a kit form starting at $539, with a assembled kit costing $599. 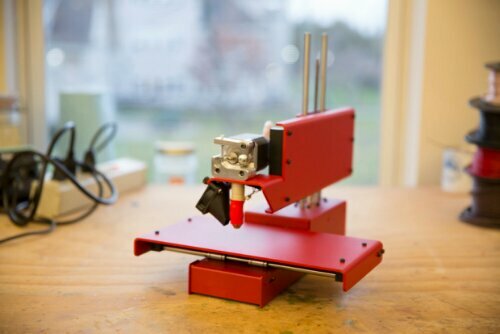 Printrbot is also releasing a limited edition RED Simple for $699. It also looks as if the Jr. platform may be discontinued as it is no longer posted for sale. Within the last week, the printrbot lineup has changed and I expect it will continue to do so based off of the sales results from the metal Simple. Another factor is the newly released Go V2. Coming in 3 different sizes may change if one model is purchased more often than another. The Simple platform has flourished because they are flying off the shelves. This new production friendly version should allow them to keep lead times low after the initial release. The new all metal Simple will come in 4 different colors: Black, red, grey and white are the colors choose from. Its truly exciting to see a platform evolve from the beta simple to what it has become today. Red now looks to be a limited edition color. 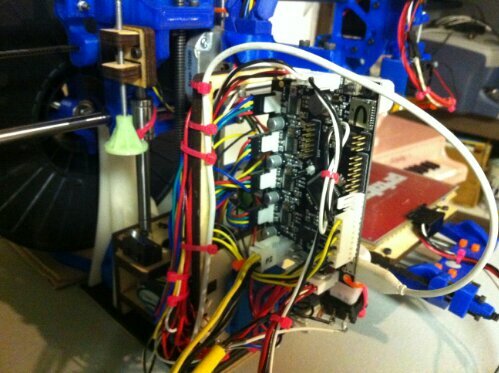 At RepRap Squad we like to try to give you the latest info from the inner workings of Printrbot. With the recent release of the 3 new Go V2s which are offered in small, huge and oooohhh myyyy sized. We figured that the newly revamped Plus 2.2 Dual Extruder release had to be right around the corner and we were right. 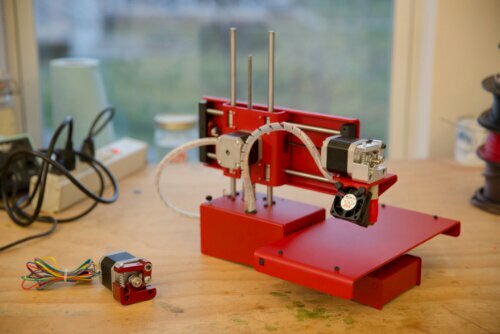 We anticipate that Printrbot will be releasing the new option of having a dual extruder Plus without having to order a kit. That means you can buy it assembled now with dual extruders for the not so tech savvy. 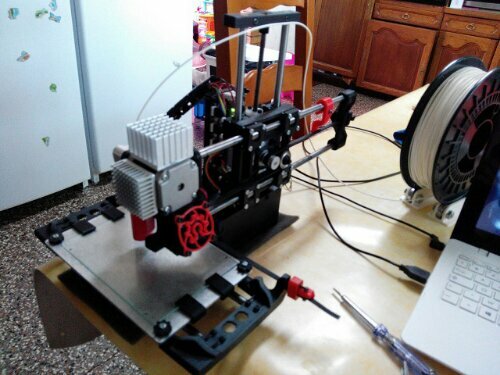 At RepRap Squad, we have been a part of the dual extruder journey since its beta release. Us along with 10 others around the world had the honor of checking out the ups and downs of the dual E setup. 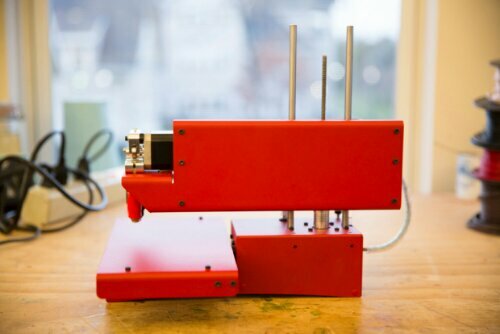 When the beta came out it was definitely for the advanced user as Printrbot had just started to dip their toes into the multi-extruder field found within the 3D printing industry. Quite a bit of time has passed and I can now say that they have tamed the beast. 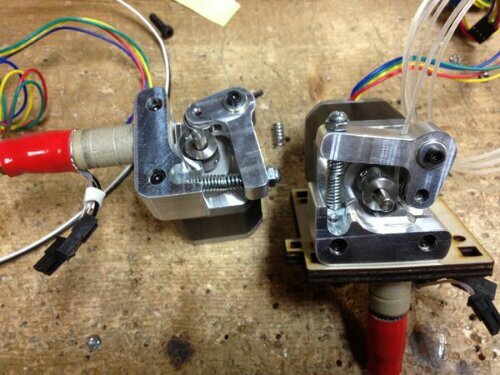 We anticipate that Printrbot will offer the new dual E setups with their gorgeous aluminum extruder. The main issue with the beta was being able to secure both hotends and still be able to adjust them fairly quickly. They came back at us with the production version which offered up an aluminum extruder mount that was easily adjusted. Brook as well as many others at Printrbot listened to every issue we encountered with beta no matter how big or small. I must say that I was truly impressed when we received the production version after the beta. Overall its a great setup and we think that dual heads will soon become the standard within the industry. 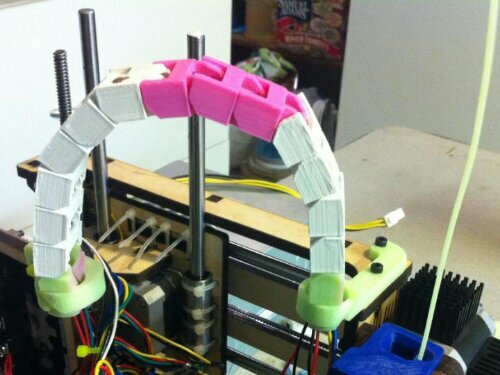 Dual extruder setups doesn’t just mean that you can print in two colors. 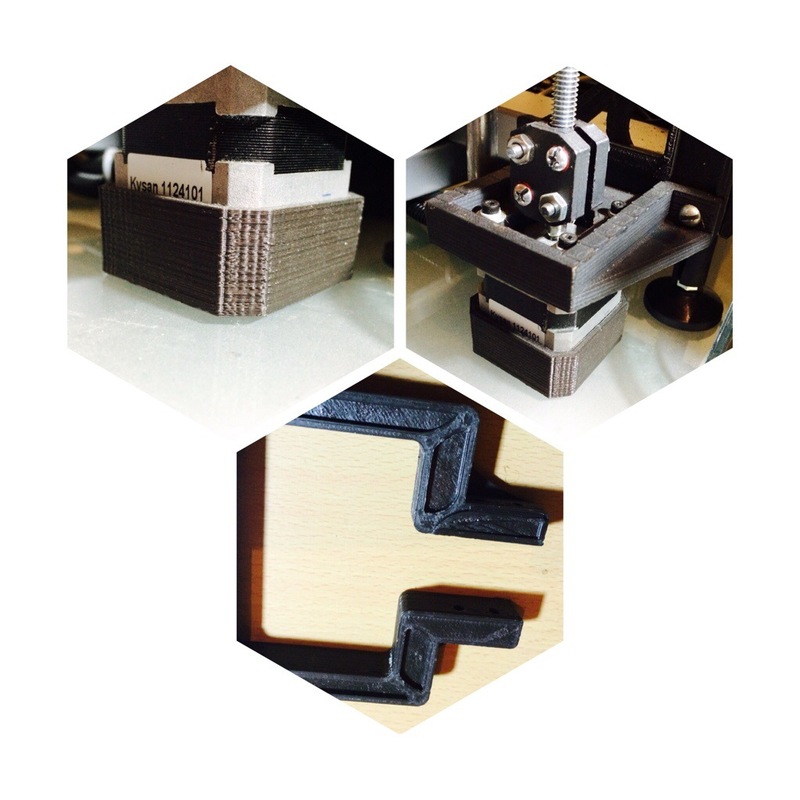 It also means that you can print using two different types of materials. 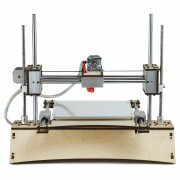 Companies like MakerGeeks.com have come out with tons of new types of filaments. 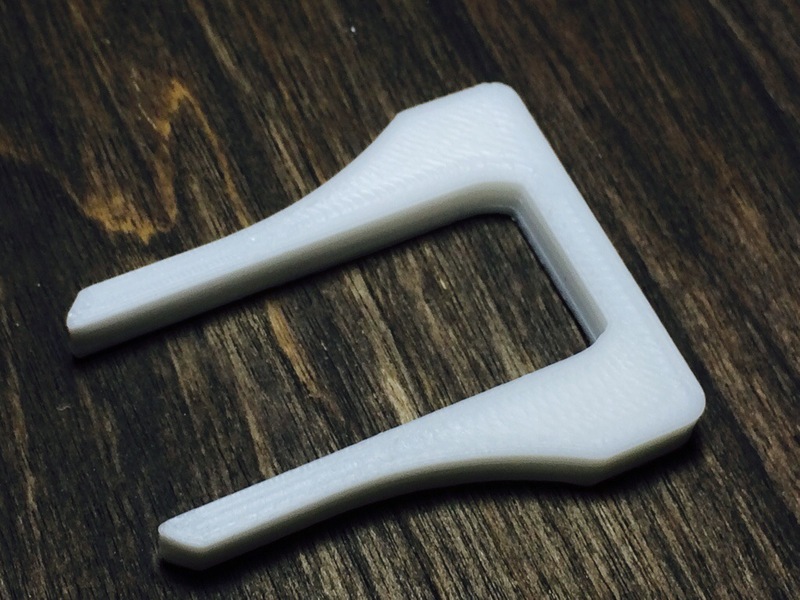 They have filaments that can be used to support your print and when you want to remove that support. You can by using water out of your tap. The combination of new filaments and multi-head extrusion allows you to print parts that were originally thought to be impossible. Slic3r, Repetier and other software companies have seen the use of multi-head extrusion grow recently. They responded by adding in controls and new features that allow you to set everything up easier as well as control your printer in ways that used to be quite difficult. This has made multi-head extrusion a lot more user friendly. We are excited to see the new possibilities explored with the new multi-head extrusion. 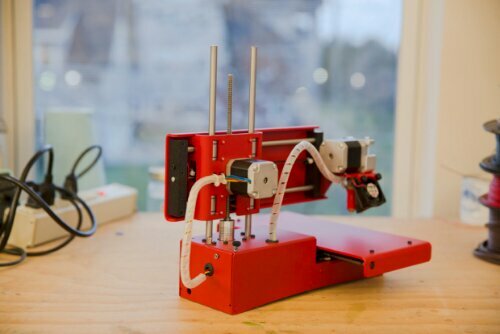 The Simple has been one of Printrbot’s best sellers since hitting the market last year. They decided to make the Simple platform all that it can be by making it all steel and aluminum. Some of the major changes include 12mm rods all around as well as a much lower part count. 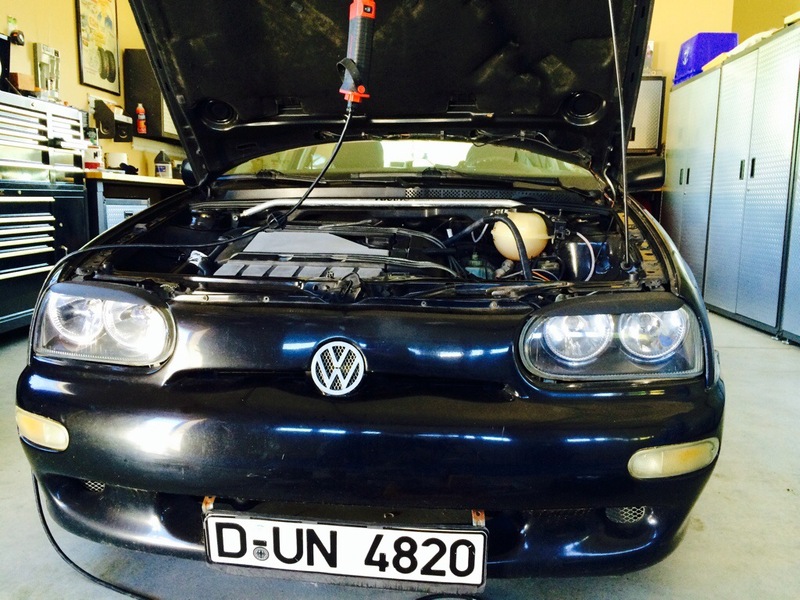 They have also done what we thought that they would do – GT2 belts and aluminum pulleys. 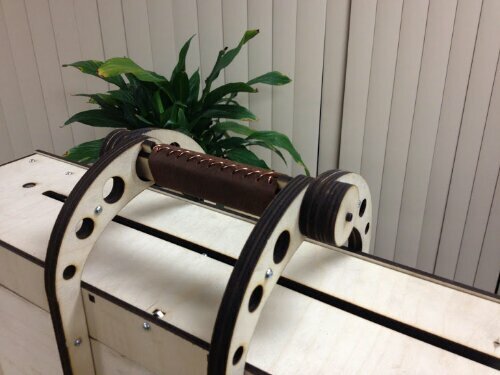 I must say that the belt and pulley combination was conceived through the hard work from all of the members at printrbottalk.com. 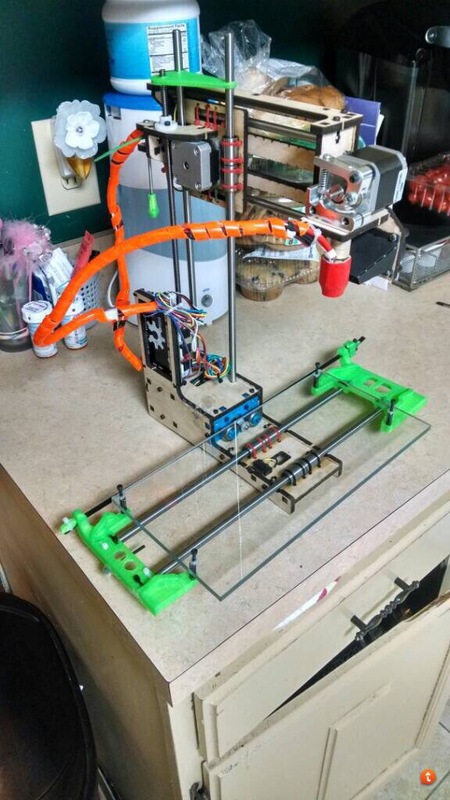 It has been a popular mod that even us at RepRap Squad explored when we released our Simple XL before all of the print space extensions for the simple platform arose. Will also boast a 6x6x6 print space that is sure to be extended by modders everywhere as we know that the z axis height. We’ve received the technical specs that we will share with you here. A few other changes that we noticed was the switch to the use of an aluminum coupler as well as a more organized wiring setup. No news yet on price or if this bot will be offered as a kit. One thing we can guess is that this is Printrbot’s way of moving some of their lineup towards a more plug and play unit. Personally I think that this new unit will attract more new users because of its more polished look. 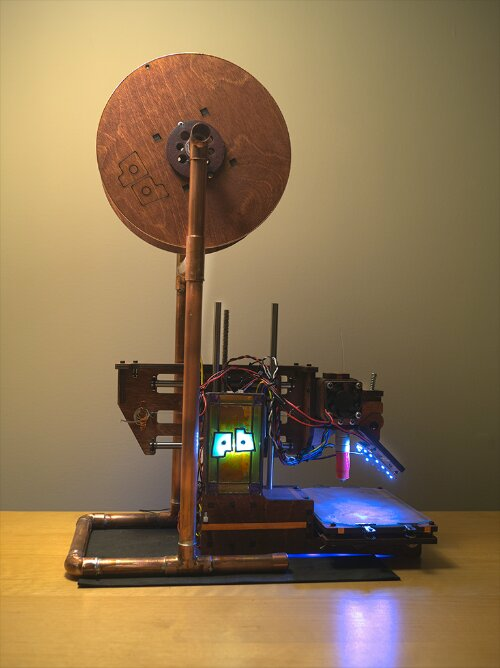 The question is, will it be accepted by the maker/tinkerer community that is used to being able to mod their machines to fit their own personal uses? No matter what your stance may be or how you look at this new bot, their is one thing that I’m sure we can all agree with and that is that this is one great looking machine. 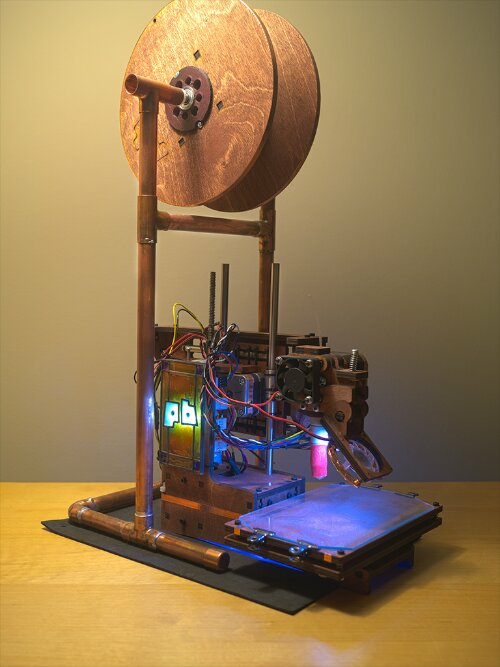 The release of this build leaves me with a few questions: Is this what we can expect with the rest of Printrbot’s line up? Does this mean that all their bots are going to be plug and play? 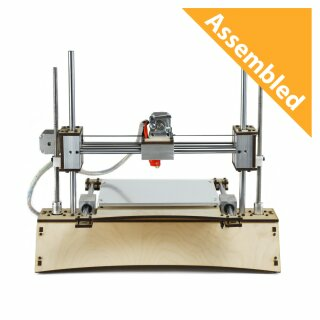 Only time will tell wether or not Printrbot’s line up will change in this direction and part of that decision will more than likely come from how this new all metal Simple is received from the community as well as the new user. 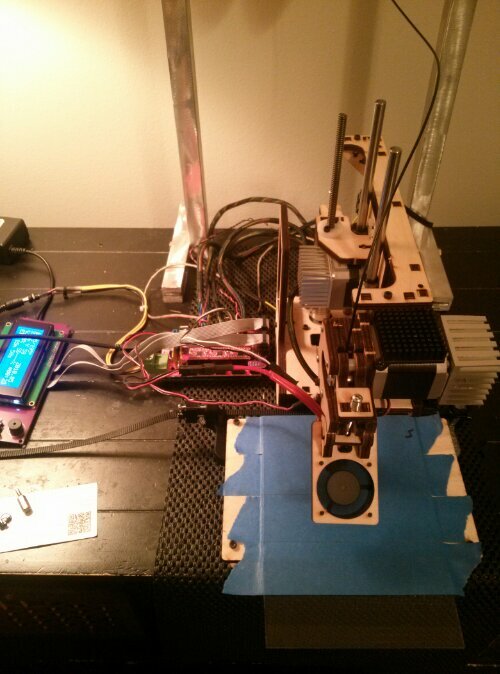 As you can see the Printrbot Simple has been found in just about every configuration possible. Making your printer match your personality is important and we believe it is a lot of fun to do. Hundreds if not thousands of simples are owned all around the world and finding a completely stock one is getting harder and harder to find but, that’s a good thing. 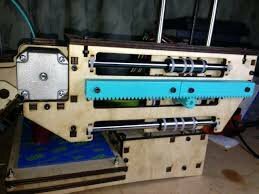 Modded printers mean that the people building them understand the basic functions of their printers as well as what they want out of that printer. I’ve found mods to be a more personal thing to not only display your personality but, to display your understanding of the technology involved. I will continue to update this post as more variations and mods of the simple platform are made. 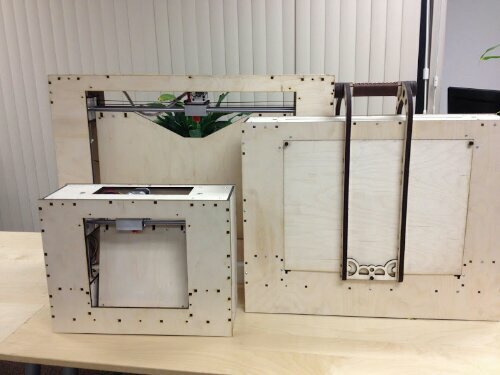 Updates: We managed to find many more interesting Printrbot Simples that stray from the stock design. Here’s all the updated modded out Simples: There are some rather interesting and colorful ones. 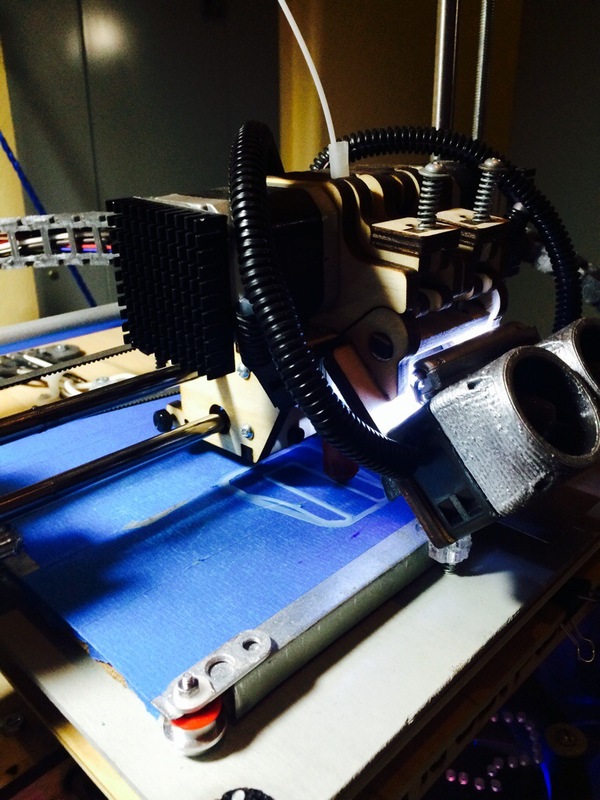 Printrbot – New All Aluminum Extruder, Now Available!! 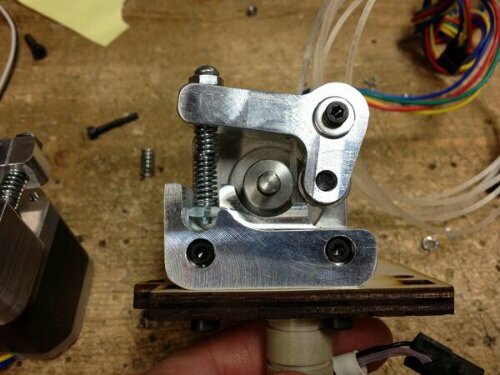 Printrbot is now offering the aluminum direct drive extruder while slowly phasing out the wood DDE. 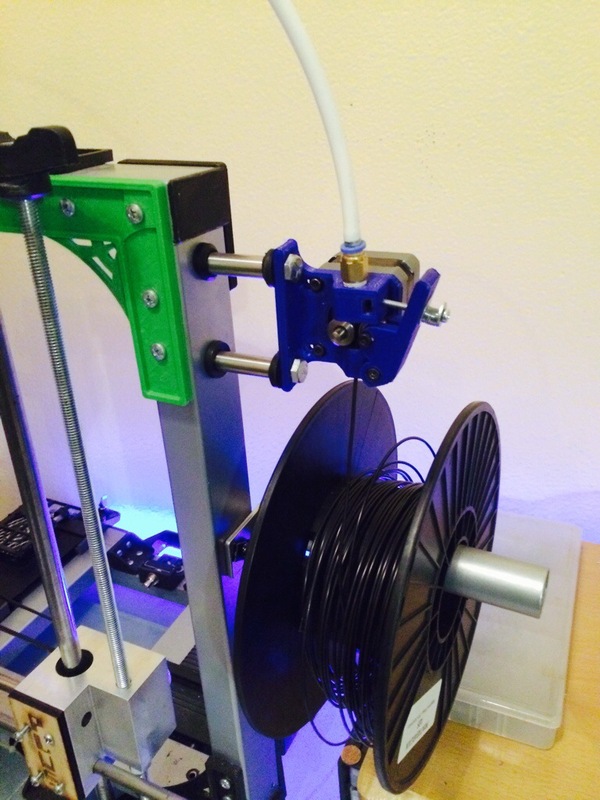 The simple is among the first printers to offer the aluminum extruder with the purchase of the kit or assembled unit. It is called the 2014 edition and also comes with an extended aluminum bed. You can buy the upgrade kit as well which will bring your older simple up to the new specs. A great deal for the price. 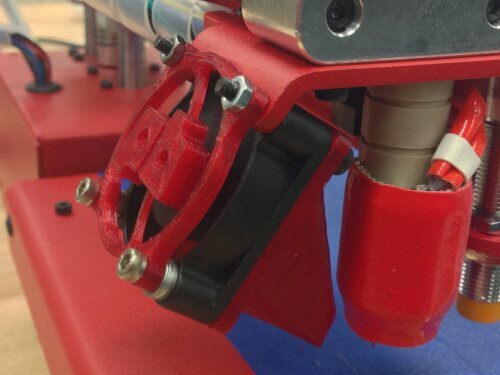 If you buy the aluminum extruder upgrade kit by itself and you have a v1 plus or lc, make sure to check out thingiverse.com for adapter plates. 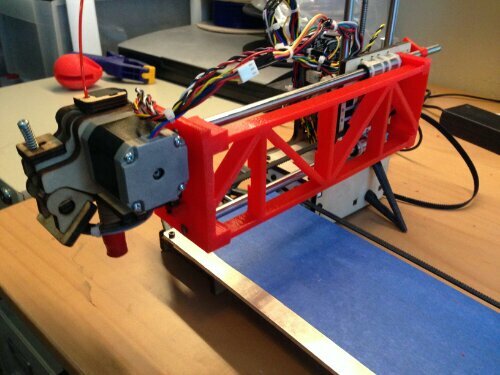 Printrbot has recently released some pics of their long anticipated aluminum extruder. They cut the fat off of the direct drive extruder (DDE) and dressed it up with a shiny new design. The new DDE is lighter, stronger, easier to load, boasting with design flare and just down right cool looking. They have re-oriented the spring tensioner which will allow for much easier swaps and adjustment. 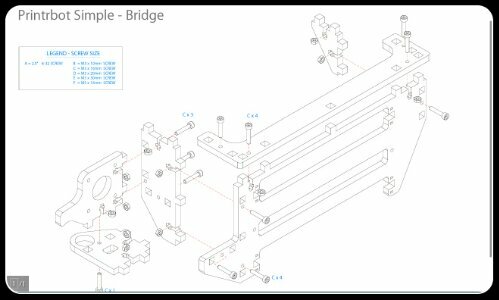 We anticipate the release of the production version of the dual and possibly triple extruder setup at the same time of the new DDE. With an estimated price of about $40 for the all aluminum DDE, it’s something anyone can afford and will surely boost print quality as well as reliability. In the dual extruder beta the DDE’s are placed side by side which eats up a bit of x axis travel. The new design is thought to be placed one behind the other, giving the overall layout a better look with better overall balance. Another thing to consider is the fact that aluminum won’t swell and be effected by heating cycles like the wood DDE. This means the new extruder is more of an investment, then an upgrade. I say this because it will save you money and frustration in the long run. We will be testing out the performance of the new DDE VS the wood DDE and reporting our findings for those who need a little more encouragement before buying. 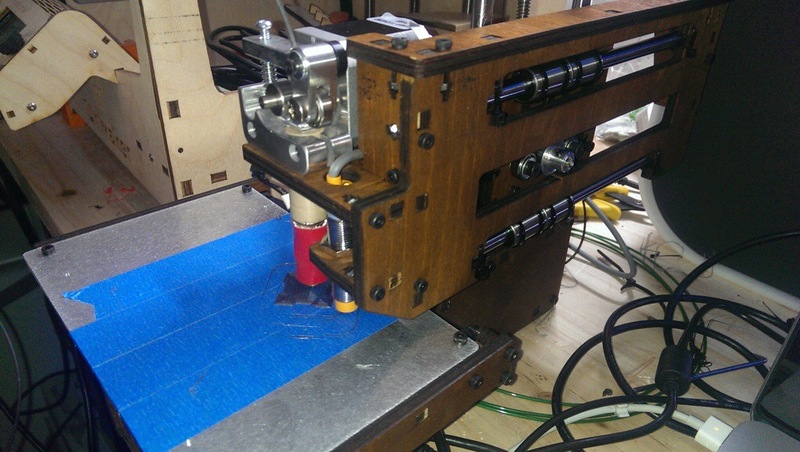 We expect the release of the dual extruder and all aluminum extruder to be very soon. 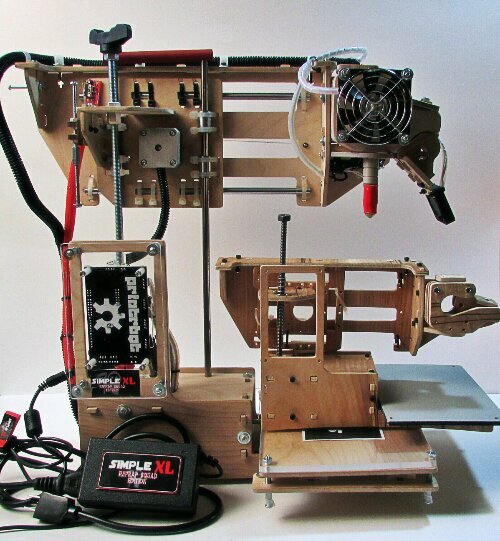 Now Available: All Things Printrbot, All In One Spot! We recently added a new page which you can navigate to by clicking on the link at the top of the page. After answering countless posts on PrintrbotTalk.com about where to find this or that. I decided to take it upon myself to start compiling calibration guides, diagrams, YouTube videos, how to’s and much more. This is a work in progress but, hopefully this will help people new to 3D printing as well as seasoned vets.